Registration works best if done on a laptop/desktop computer! Some mobile devices will not allow the registration process to go through successfully. Friday Night Lights-JV is designed to teach the basics of the game through team building and competitive play. Players register as individuals, participate in the Skills Combine (see below) and will be placed on a team via the league draft. Teams will have two full practices to start the season and then a 20-minute practice before every game. 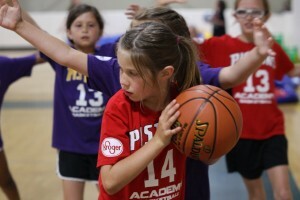 All levels are welcome but it is suggested that advanced 4th graders play in the Varsity Division. Days/Times: Games & Practices are Fridays at 6:15 or 7:15pm. Days/Times: Games & Practices are Fridays at 6:30 & 7:30pm. Register: Register here for Friday Night Lights Varsity (grades 4-6) SOLD OUT! 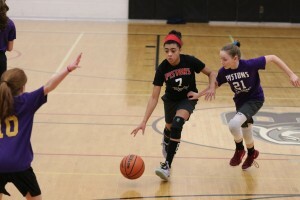 The Pistons Elite Travel team is designed to give advanced players a chance to train, learn and play at an advanced level. Teams are formed by tryouts, usually in the fall, and begin playing in local leagues and tournaments. The main session is November-March with a small spring session of April-June. 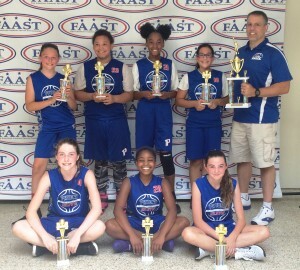 We are currently forming a 4th grade team for spring 2019 that will transition to 5th grade team this fall. Spring Season meeting scheduled for Monday, 3/18 at Franklin at 7pm. 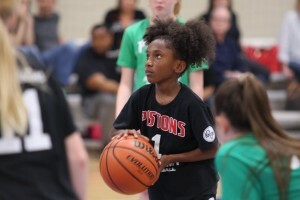 Who: Current 4th grade girls looking to play with and against the top players in the state. 5th grade team will start in Fall 2019.